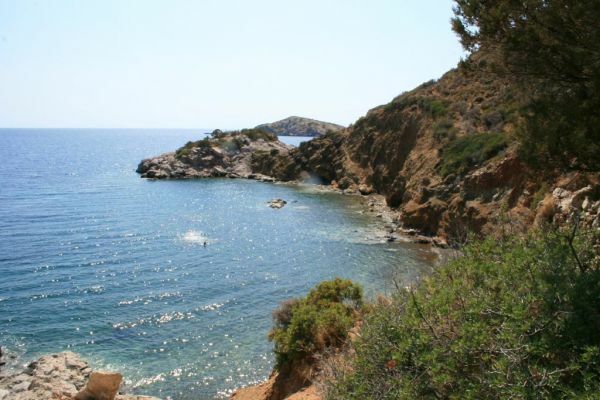 Agios Nikolaos is one of the most beautiful beaches in Hydra and is situated in a secluded area full of pine trees, on the western coast of the island, next to Bisti beach. 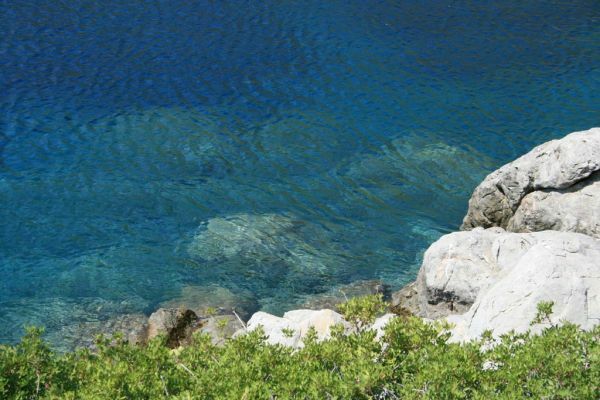 This protected cove can be reached only by boat or through a tough hike over the mountains. If you don't have a private boat, you may use the caiques which offer regular schedules (apx 60min) or hire a sea-taxi, which is much faster but more expensive. The beach has fine peebles, transparent waters and offers sunbeds, straw umbrellas and a small cantina which operates during the summer (day time only). The area is uninhabited and no other facilities are available near by. 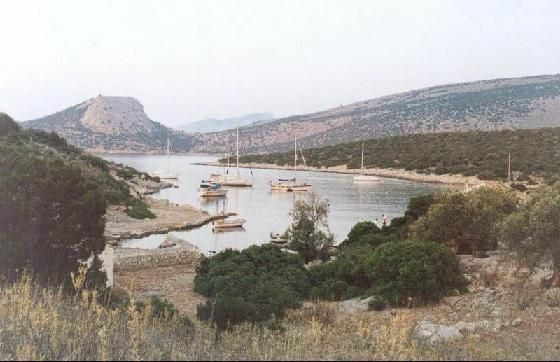 In front of the cove there is small islet named Agios Nikolaos or Tsingri and a skerry on its west. 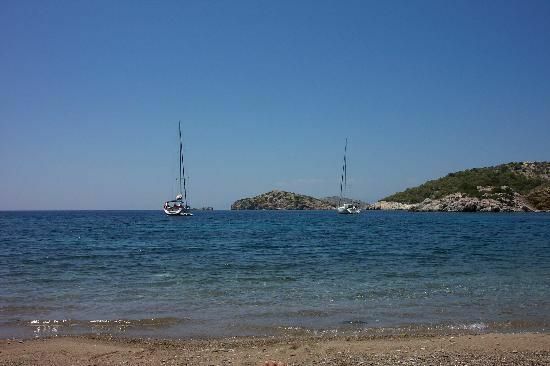 ANCHORAGE INFO: Agios Nikolaos is the most picturesque anchorage of Hydra and is very popular among yachters. You may anchor in the western cove and take a long line ashore for safety. The surroundings are beautiful and the sea is clear. A small cantina operates only during the day (summertime only). No other facilities available. A small jetty is provided for disembarcation. PROTECTION: Protected from all winds, except the southwestern.